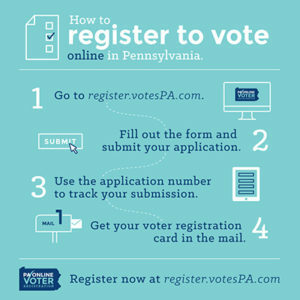 Head over to register.votespa.com, complete the form, submit your application, and get your voter registration card in the mail. It couldn’t be easier. If you’re already registered, but need to update your information, you can use the site to change your name, address, party affiliation, and whether you need assistance to vote. Have questions about the process? Check out this list of FAQs. If you want to vote in the upcoming May 15, 2018 primary election, you must register to vote by April 16. You can find information on candidates running for office in Bucks County, as well as locations of polling places, on the Bucks County Board of Elections webpage.